Xiao Yu pulled Yan Jin with one paw while the other rubbed his little drowsy eyes. Yan Jin stopped in his tracks and stroked the little hamster. Xiao Yu was still feeling drowsy as he was placed back onto the table. He opened his mouth and let out a big yawn. After Yan Jin left, Xiao Yu laid down on the spot. With Yan Jin’s silent consent, Xiao Yu only woke up around noon for the past few days. It was difficult to suddenly revert to old sleeping habits. He quickly fell back asleep. In the afternoon, when the warm sunlight shone into the room from the windows, Xiao Yu finally woke up from his weariness. He opened his eyes again and look around. It was then when he realized that Yan Jin seemed to have gone back to work. He thought one week was a long time. Never had he thought that it would pass so quickly. Xiao Yu ran and hopped his way over to his iPad and looked at the time. In the blink of an eye, it was already the twenty-sixth day of the month. Today happened to be the La-Ba rice porridge festival¹. He wondered if Yan Jin had the habit of eating the La-Ba porridge. Xiao Yu was not a good cook, neither had he ever cooked porridge before. However, during this time of the year, the aunty at the staff canteen would cook free La-Ba porridge for everyone. It was filled with the festive atmosphere and everyone would give it a taste. Xiao Yu was not excluded. The thought of La-Ba porridge almost made Xiao Yu drool. He had a sweet tooth to begin with. After becoming a hamster, other than munching on those tasteless dried fruits and nuts, desserts were all wishful thinking. Even his sugar intake was strictly controlled by Yan Jin, which completely cut him off from all his favorite food. *Sighs* That two-layered napoleon cake and parmesan cheese ice cream was still in the fridge before I died. What a pity, what a pity. Forget it. The more I think about it, the hungrier I get. I just had my meal for god’s sake. Xiao Yu depressedly browsed his iPad. Oh right. There are a few games that have La-Ba festival events. Toxic seems to have one too. Let’s login and have a look. The second before Xiao Yu opened the game app, he suddenly realized that something was amiss. The public voting began on the sixteenth at midnight. It was held for one week; seven days. How long had it been since then? Xiao Yu opened the calendar and pondered for a good minute. Then, he confirmed again with the gaming company’s contract between YL and SI – The public voting had already closed two days ago. Ohmygod. Why did he feel like everything remained the same, but the people were different? Xiao Yu quickly opened the forum and realized that he really arrived late. The actual voting post had long been buried. The latest pinned post was replaced by the battle’s final analysis post. Xiao Yu, who had indulged in his games too much, grudgingly clicked on the analysis post. His conscience as a professional designer was aching dully. He knew that YL would win, which made him less concerned about this matter compared to his previous life. However, he did not expect himself to be so muddleheaded that he missed the entire voting process. It made Xiao Yu recall the winter holidays many years ago when he was still in school. It was like he had missed a lot of things unknowingly and wasted the entire holiday. It was a different kind of approach that led to the same results as his current situation. This was all Yan Jin’s fault. He just had to choose this busy period to have his holiday, causing Xiao Yu to forget about the deal and only spend time gaming with him! Xiao Yu blamed himself for a good while and promptly pushed all the blame to Yan Jin. it was as if he had forgotten how excited he was to have a gaming partner for the past two days. The heartache instantly disappeared after he pushed the blame. Xiao Yu began happily browsing the forum. Technical posts? Forget it, he would pass. It was meaningless to talk about the difference in techniques for this deal. 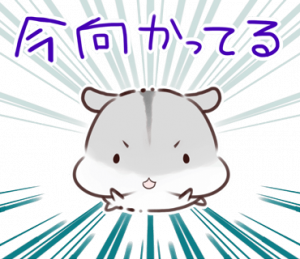 After all, so long as a hamster-from-the-future like him was around, using his cover as the mystery designer to fight with those amateurs in SI, there was no meaning in talking about winning by technique. The final outcome was that SI gained 1.5 billion and ninety million plus votes, rounded up to 1.6 billion. On the other hand, YL gained 2.1 billion and thirty million plus votes. It seemed like they were not leading by a wide margin. If they had continued the competition for a few more days, SI could even catch up. One should know that on the first day, when the voting started, the support rates were completely opposite. When SI’s support ratings were at less than ten percent and the difference in votes between the two enterprises were more than doubled, almost no one thought highly of SI anymore. During the last few days, as SI started to close the gap, many of the supporters changed sides to support SI again, thinking that SI would eventually make a comeback at the last moment. In the end, although SI did not make a successful comeback, they still managed to produce good results. This disappointed SI’s industry supporters, but at the same time, they did not completely lose hope in SI as a brand. Xiao Yu didn’t have a big impression of the final figures from the battle in his previous life. But he did remember that SI did not lose too badly. After witnessing the huge disparity between both enterprises in the beginning, Xiao Yu also thought that the end results would have a difference of a single digit. When the votes came out at midnight, he let out a sigh of relief even though they had lost. Back then, he had despised YL’s act of plagiarism. He even felt that being able to close the gap to that extent under such disadvantageous conditions was all thanks to the tireless efforts of SI’s employees during that one week. Yes, that was what Xiao Yu thought in his previous life. Yet in this lifetime, Xiao Yu clearly understood that the the huge disparity between the two enterprises had no link to the efforts made by SI’s design and publicity department. The real reason was purely because YL’s cold and ruthless, deliberately provocative chairman felt that victory was within grasp on the very first day, leaving his company behind to go home and relax with his pet. That put all of YL in a complete mess without any firm directions for an entire week! In fact, SI had been battling wits and courage for nothing over that entire week. SI was nothing in the eyes of YL. Xiao Yu, who finally found out the truth, silently shed a tear of pity for his ex-company. Was it lucky or unfortunate to have Yan Jin as a competitor? Overall, with Yan Jin’s unfathomable way of doing things, SI’s loss seemed less tragic and displayed how a large enterprise would act in a doomed-to-fail competition. From a certain perspective, the way Yan Jin had abruptly left the battle allowed SI to feel relief as they were standing at the edge of the cliff. It was a pity that SI did not make good use of this opportunity. That could be easily seen from SI’s decline for a good period of time in the near future. The contract was confirmed to be taken by YL. Xiao Yu had not logged in to his Fish and Hamster – You Can’t Have Both account for the past few days, which led to multiple pop-up messages appearing when he logged in. The first message that he saw was Nannan’s congratulatory message, which was sent several days ago. Xiao Yu quickly replied with a perfunctory word of appreciation and came up with a random reason to explain his disappearance for the past few days. [Fish and Hamster – You Can’t Have Both]: My bad. I had some family matters to attend to last week and had no time to reply. [Nannan]: Oh, I understand. It’s okay, it’s okay. At that moment, the flustered Xiao Yu did not think much about why Nannan would stop messaging him after his congratulatory message and a message asking,“Guru, are you busy? Why aren’t you replying?” on the twenty-third. It was as if he was not bothered by why Xiao Yu had suddenly disappeared. He thought that Nannan’s “I understand” had some hidden meaning behind it. But obviously, he did not think further about it and quickly switched to the other messages. The next few messages were sent by friends added from the gaming apps, which he deleted right away. Next was Yan Jin’s congratulatory message that was sent earlier today. From the time it was sent, it seemed to have been conveniently sent while he was on his way to work. The last message came from Lin Zhou. What surprised Xiao Yu surprised was that Lin Zhou’s message was sent earlier this morning too. He thought that Lin Zhou would at least wait a few more days before approaching him again to express his unwavering efforts to challenge him again despite his failure this time round. At least that way, it would make Lin Zhou seem a little more reserved. It was quite embarrassing to constantly lose to YL after all. Then again, when Xiao Yu saw Lin Zhou’s message again, he stopped thinking that way. Dignity was like a luxury for a person like Lin Zhou. At eight o’clock sharp in the morning, meaning Lin Zhou sent that message during working hours. The motive was not the contract they lost but a matter that Xiao Yu had not thought about. [Lil’ Ye-Zhou]: Chairman Yan, our chief designer is acting unstable after losing the competition. He was making noise over the past few days. I’m not sure if he will cause you some trouble. I’ll try to keep a close eye on him. He’s my junior. He had not experienced much setbacks before and is quite proud and arrogant. If he really causes you trouble, I hope Chairman Yan would pardon him. Xiao Yu stared at that chunk of message for a good thirty seconds and finally realized what Lin Zhou was talking about. It felt hilarious because if it wasn’t for Lin Zhou’s reminder, he would had forgotten about it. The La-Ba festival in January was the day that he summoned up his courage to confront Yan Jin. At the looks of it, that incident should had happened already. Back then, Yan Jin was discussing a contract with someone else. Xiao Yu made use of the fact that he was acquaintanced with the front desk employees and forced his way into YL. Despite the efforts to stop him, he found Yan Jin and straight away reproached the chairman about the plagiarism done by the mystery designer over the past six months. That incident was the most embarrassing, reckless and illogical thing that Xiao Yu had ever done in his entire life. But he did not regret it. Even when his impression of Yan Jin had plummeted to a negative thousand points on this day in his previous life, and Yan Jin’s impression of him had also plummeted to a negative ten thousand points, he did not regret it. Perhaps in the eyes of those bystanders, he should not have acted rashly while he had insufficient evidence. He should not have acted rude and impetuous. He should have thought of a better way to resolve the issue. However, at this moment, Xiao Yu knew for sure that there would never be any evidence, nor would there be a better solution. The whole world was supporting that mighty mystery designer that no-one dared to approach. As YL’s reputation was rising little by little, he was surrounded by enemies, isolated and without help. A complete loser who was alone. He was like a dancing clown blocking Yan Jin in his tracks. He shouted himself hoarse about things that he wouldn’t even dare to confirm. There was no evidence, no confidence. At best, it was a slap on the wrist to that chairman who was flushed with success. However, at this moment, after reliving the lifetime again, he finally knew that his perseverance was meaningful. He had not done anything wrong. If he could turn back into a human, he would tell Lin Zhou confidently that confronting Yan Jin was the proudest thing he had ever done in his lifetime.